Item # 319305 Stash Points: 3,800 (?) This is the number of points you get in The Zumiez Stash for purchasing this item. Stash points are redeemable for exclusive rewards only available to Zumiez Stash members. To redeem your points check out the rewards catalog on thestash.zumiez.com. 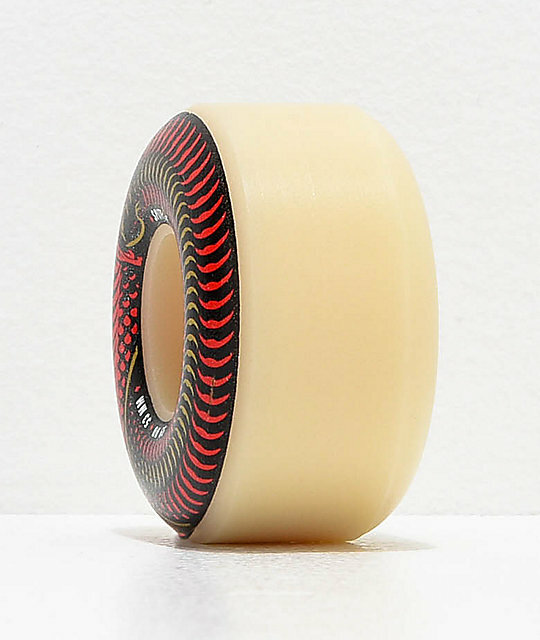 Get one set of wheels to skate it all with the Spitfire Formula Four Venomous Radial Slim 53mm 99a Skateboard Wheels. At an ideal mid-range in size, these 53mm wheels carry speed well without sacrificing acceleration in the process. Constructed in a 99a durometer rating and with a thinner contact patch, these wheels are built for long but controlled power slides, perfect for all-kinds of riding styles. 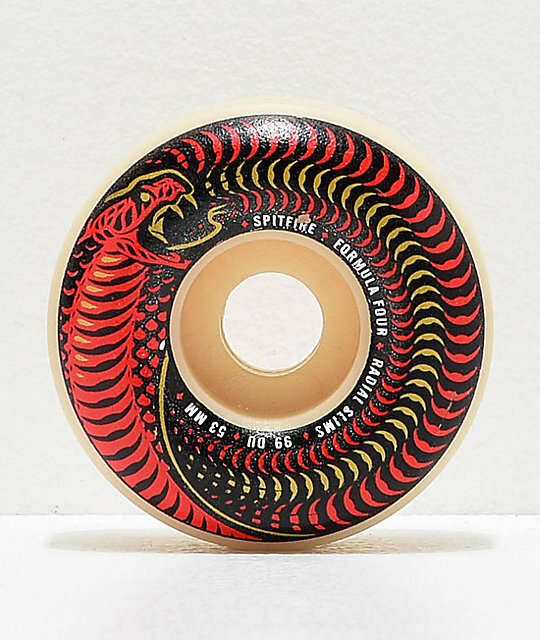 Formula Four Venomous Radial Slim 53mm 99a Skateboard Wheels by Spitfire. Spitfire's Radial Slim wheel shape for proven speed, control and responsive power slides. 53mm sizing, 99a durometer hardness rating.